Always amazed by The Active Naturist adventures. The last (for now!) blogpost of our Hawaiian adventures is about a pretty but also somewhat uncanny rainforest on Puna side of the Big Island that we explored using Ka-hau-a-Le’a trail, which is no longer recommended for visits by authorities and is officially closed. However, it is definitely among the most interesting hikes that I’ve done in my life thanks to a combination of several factors. The guidebook ‘Hawaii, the Big Island Revealed‘ was our inspiration again. The day was rainy but very warm, appropriately for a tropical rainforest and that part of the island of Hawaii particularly, so the most appropriate attire was just our bare skin – you know it’s my favorite one anyways! I went to the big island on 2007 but didn’t make it to this beach. Looks like a great place. Spectacular sunset by the way. After Maui, I headed to the island of Hawaii aka Big Island. 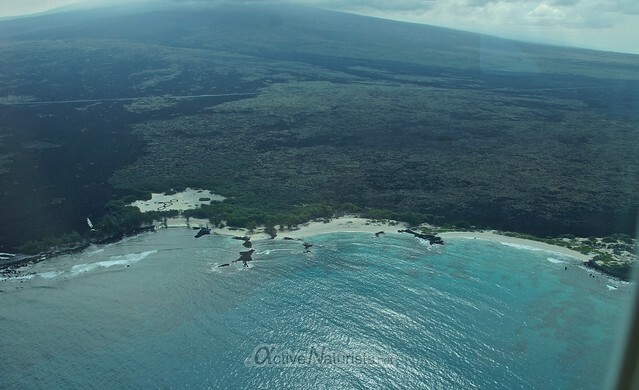 It was a real pleasure to see my first destination on the island – a beautiful secluded beach called Makalawena – from the airplane upon approach to Kona airport. 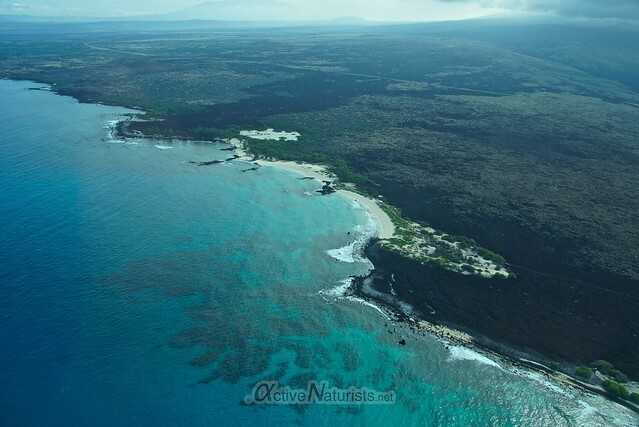 It came highly recommended by two friends, and my guidebook (‘Hawaii, the Big Island Revealed‘) said that it was “the choicest beach on the island [to many who]… don’t mind walking to it”. How do you top an adventurous trail with four waterfalls that I described in my previous blogpost? Perhaps a trail filled with tropical fruit trees and breath-taking views will do! 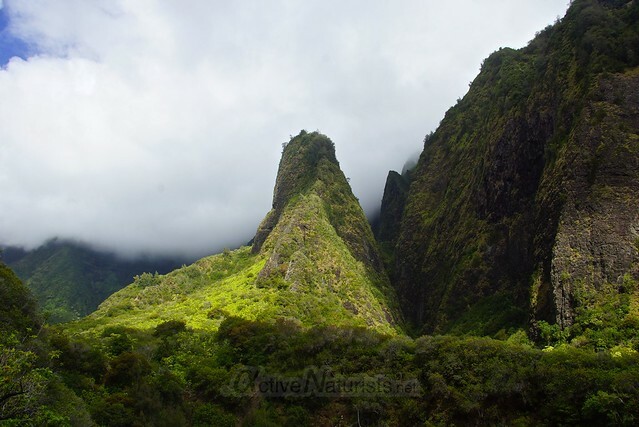 Just such a trail goes through Iao Valley in the western part of Maui. This is actually a popular spot for mass tourism thanks to easy access to the view of Iao Needle rock formation, but hardly any visitors go on the trail behind the viewing platform. That’s where it gets only more interesting. Of course, I took off my clothes to enjoy the nice weather – combination of warm humid air and fresh breeze – and feel at home in the lush forest. The view of the lush forested valley with dark vertical walls of mountains partially hidden in white clouds is exactly what you would imagine when asked to think of ‘magnificent beauty of nature’. South Florida is one the most popular tourist destinations, but it’s not known for its hiking. 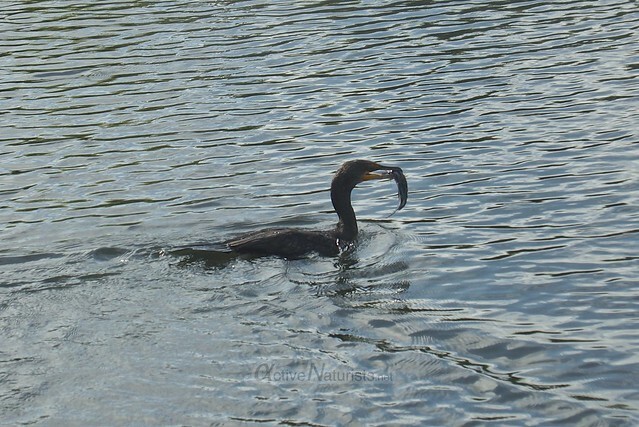 In this blogpost, I invite you to join me on a scenic trail that proves that hiking in South Florida is exciting even though it’s as flat as it gets. This 8-mile section of Florida trail goes through various landscapes of Big Cypress National Preserve. About a year ago, I went to Florida with my sister, and we stayed at the same CouchSurfing hosts, as in my first visit to Florida with Joe; Peter already knew we would love the idea of hiking in the swamp, so he got in touch with his friend Dave from Florida Great Outdoors group. Dave was an excellent guide, he knew every corner of the trail and told us a lot about the wildlife, of which we saw plenty! I have heard a los about Stephen but not about Melanie. I new there was a woman that joined him and I’m glad to learn more from her with this post. Certainly well deserved for her. I also feel the same way about Stephen. I have admired him but also question some if his decisions. I do hope that it turns for the best for him. I’m guessing that a few or you were thinking, “Who?” until you noticed the photo below, at which time it became quite obvious who Melanie Roberts is. She was the woman who joined Stephen Gough in walking the 874 miles from Land’s end to John O’Groats naked back between 2005 and 2006. With the repeated arrests and continued imprisonment of Gough, Melanie’s contribution has tended to be forgotten. Great article from Active Naturists. Entertaining and informative. Yes, a rattlesnake! 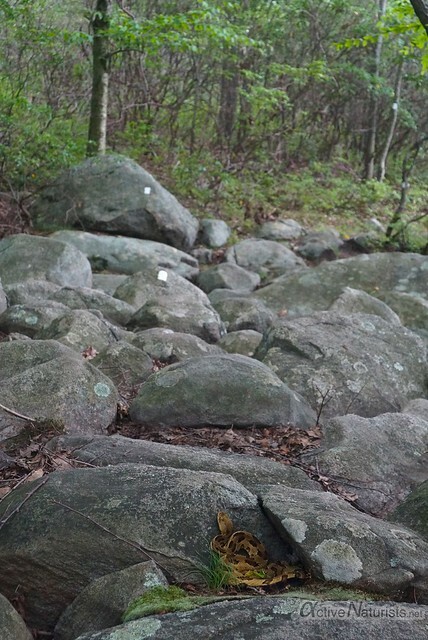 Curiously enough, when we were hiking towards the lake the day before, Sergei wondered if we should watch out for snakes. 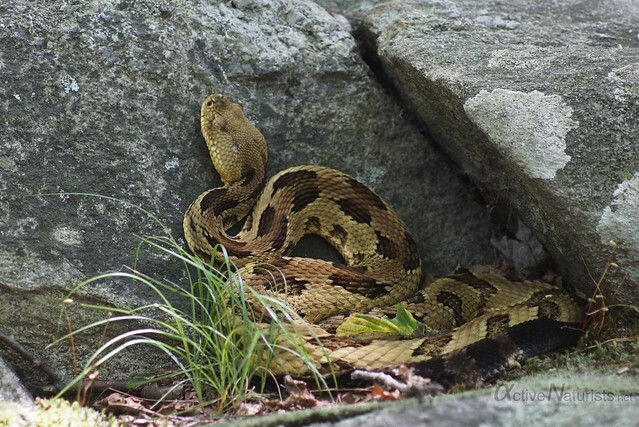 None of us had seen venomous snakes in the area (but I did report on non-venomous snakes in the previous blogpost about Harriman), and I noted they were actually pretty rare in New York State. But I was lucky to see one on the way back.